Dreaming of a "Comfortable Retirement" on a Public Pension? Did you realize that many U.S. pension funds are in trouble even though stocks have been rising since 2009? Even so, many retirees expect a comfortable retirement. Jump on once-in-a-lifetime opportunities and avoid dangerous pitfalls that no one else sees coming. We can help you prepare for opportunities and side step risks that will surprise most investors. You can get deeper insights in Elliott Wave International's new free report: 5 "Tells" that the Markets Are About to Reverse. The insights that you'll gain are especially applicable to the price patterns of key financial markets, including the stock market, now. Read the free report now. In March of 2017, retirees finally capitulated once again to the uptrend in share prices by registering a response of 104.... Last month, the survey even pushed to a 17-year extreme of 109. A big reason why the hopes of retirees may be sorely misplaced is that the shortfall in local and state pensions is a staggering $4 trillion, according to Moody's Investors Service. As the article notes, a fund covering Chicago municipal employees had less than 30% of what it needed in fiscal year 2017. New Jersey's pension system for state workers is so underfunded that it could go broke in 12 years, according to a Pew Charitable Trusts study. But, in EWI's view, many public pension systems may become insolvent long before then. In fact, this is already happening with retirement-age individuals. The rate of people 65 and older filing for bankruptcy is three times what it was in 1991. With pension funds heavily invested in risk-assets like stocks, imagine the scenario during the next financial downturn. Our analysts' comments about the stock market's technical picture should be of high interest to every market participant, including those expecting a comfortable retirement. Read the free report now -- just look for the quick-access details below. Learn how to spot once-in-a-lifetime opportunities and avoid dangerous pitfalls that no one else sees coming. We can help you learn how to spot opportunities and side step risks that will surprise most investors. You can get deeper insights in Elliott Wave International's new free report: 5 "Tells" that the Markets Are About to Reverse. The insights that you'll gain are especially applicable to the price patterns of key financial markets, including the stock market, now. Read the free report now. 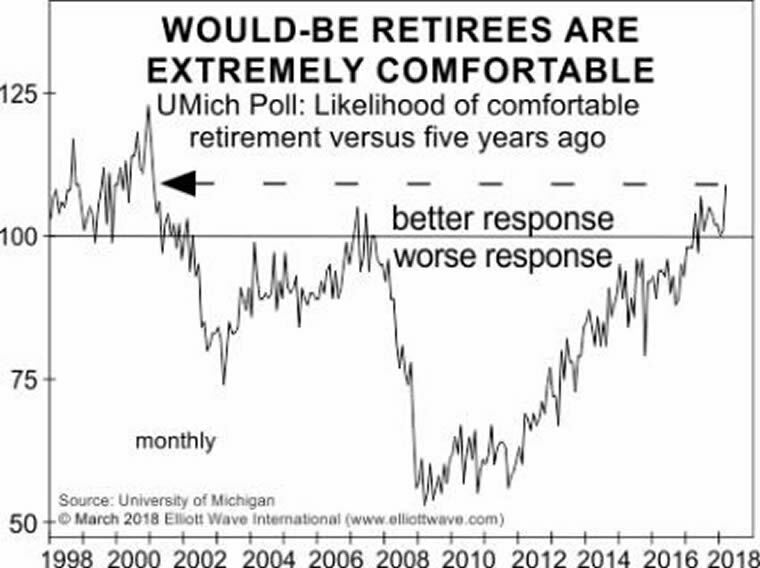 This article was syndicated by Elliott Wave International and was originally published under the headline Dreaming of a "Comfortable Retirement" on a Public Pension?. EWI is the world's largest market forecasting firm. Its staff of full-time analysts led by Chartered Market Technician Robert Prechter provides 24-hour-a-day market analysis to institutional and private investors around the world.